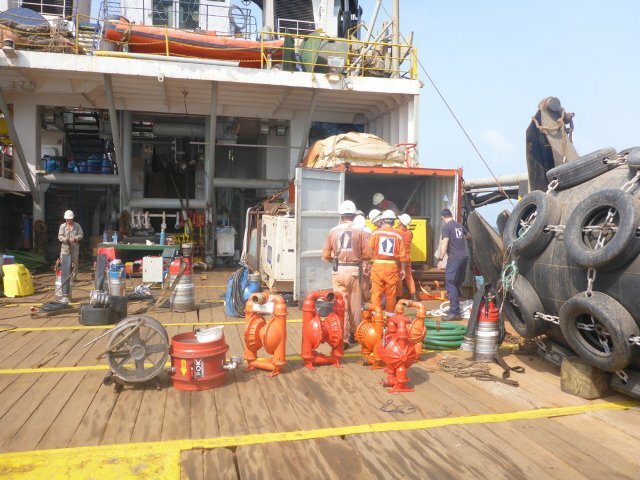 In 2015, FIVE OCEANS SALVAGE undertook successfully 5 salvage operations. Bulk carrier ANEMONE (30,587 dwt, built 2007), laden with approx. 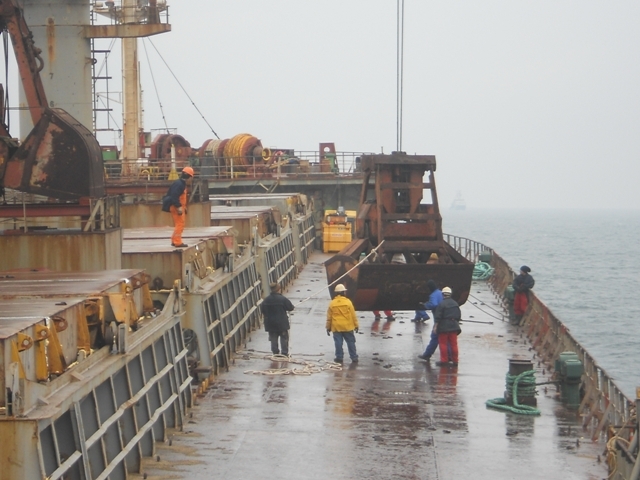 28,000tons of copper concentrate, copper matte and fertilizer was immobilized in Eastern Pacific Ocean on 12th November 2015. A Lloyd’s Open Form was signed between Five Oceans Salvage and Owners the same day. Salvors dispatched tug KOYO MARU from Moji, Japan to assist. 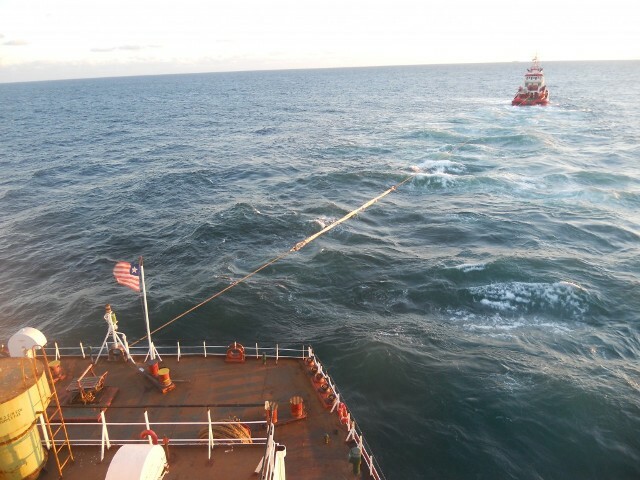 The tug reached the casualty on the 16th November and towed her to Bussan, Korea where she was safely redelivered to her Owners on the 25th November 2015. Bulk carrier VICTORIA (46,841 dwt, built 1997), laden with 35,000mts of wheat, run aground in Kattegat Sea, off Varberg, Sweden on the 20th September. Five Oceans Salvage signed a LOF with Owners same day and mobilized tug BB POWER from Stavanger, Norway to assist, together with a salvage team of six persons from Greece and Holland. 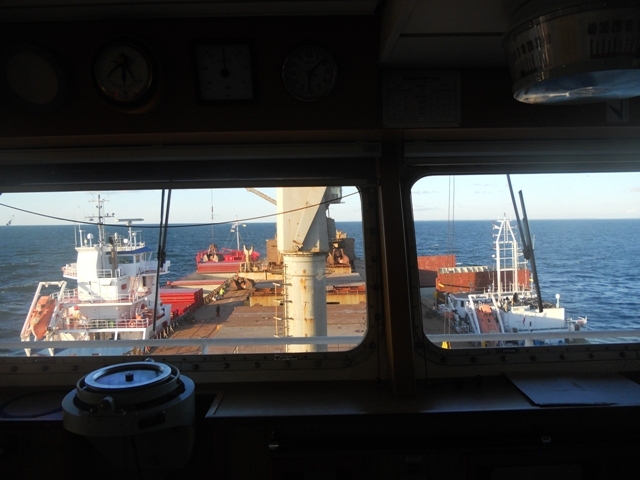 In the course of the following days, salvors engaged M/T LEON to successfully remove 950mt of fuel from the casualty and M/V FRISIAN SUMMER and M/V TRANSFORZA to assist in the lightering operation. 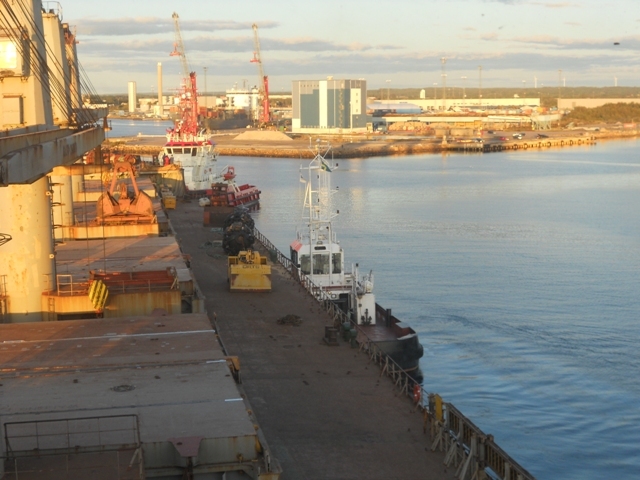 M/V VICTORIA was refloated on the 26th September after lightering about 3,850 mt of cargo and was brought to Halmstad where the lightered cargo and bunkers were transferred back onto the VICTORIA. 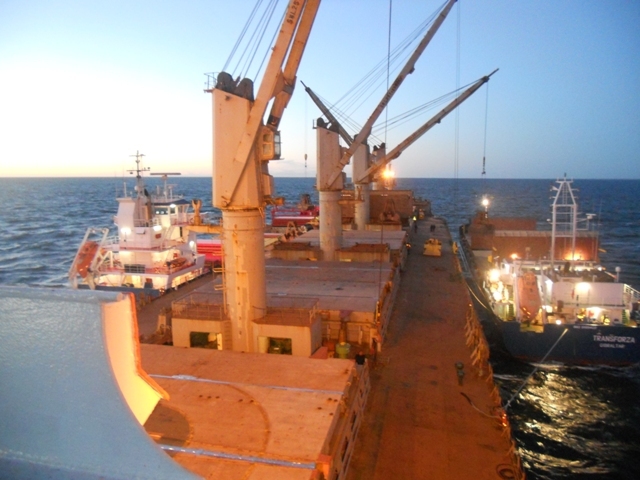 The vessel was redelivered to her Owners on the 02nd October 2015. Bulk carrier PEBBLE BEACH (37,000 dwt, built 2013) laden with approximately 9,400mt of barley in bulk run aground in Porto Alegre, Brazil on 28th August 2015. Five Oceans Salvage was awarded the LOF contract same day and mobilised a salvage team from Greece. 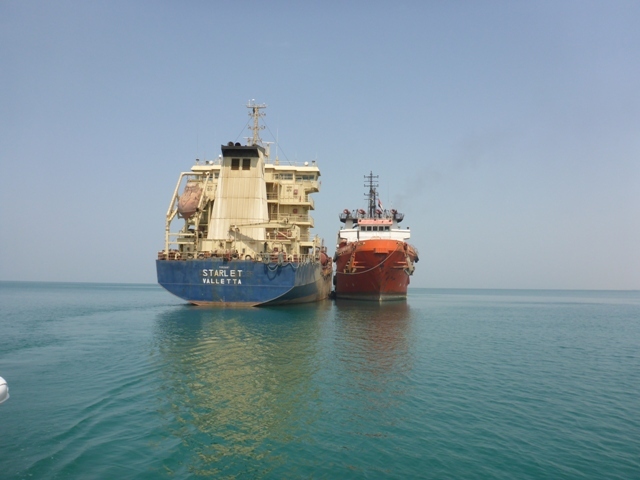 Salvage services were rendered using two local port tugs. 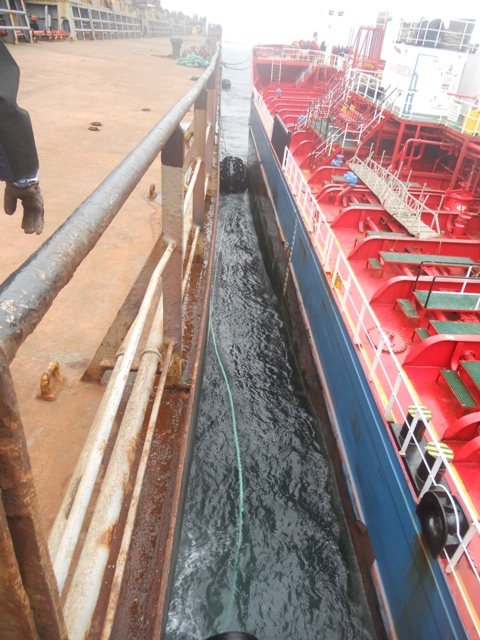 The vessel was successfully refloated on the 29th August and redelivered locally. 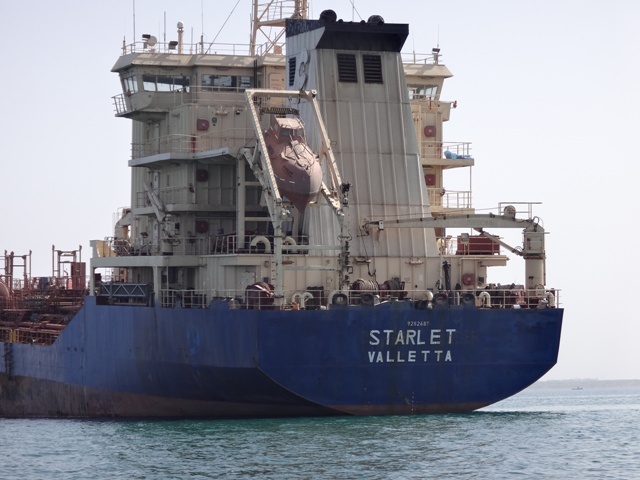 Chemical tanker STARLET (10,048 dwt, built 2003), in ballast, suffered water ingress in her engine room whilst at anchor in the inner anchorage of Hodeidah, Yemen. A Lloyd’s Open Form was signed between Five Oceans Salvage and Owners on 31st July 2015 and Scopic was invoked. 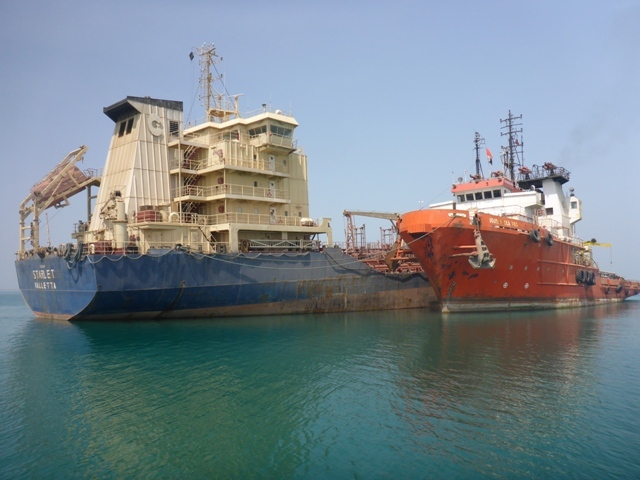 Salvage tug IONIAN SEA FOS (10,560BHP, 102BP), fully equipped with salvage, patching and antipollution equipment was engaged to assist together with a salvage team of eight persons and five armed guards to ensure the safety of the tug and crew while inside the Yemeni warzone. The personnel embarked in Djibouti since air transportation to Yemen was not an option due the state’s war situation. 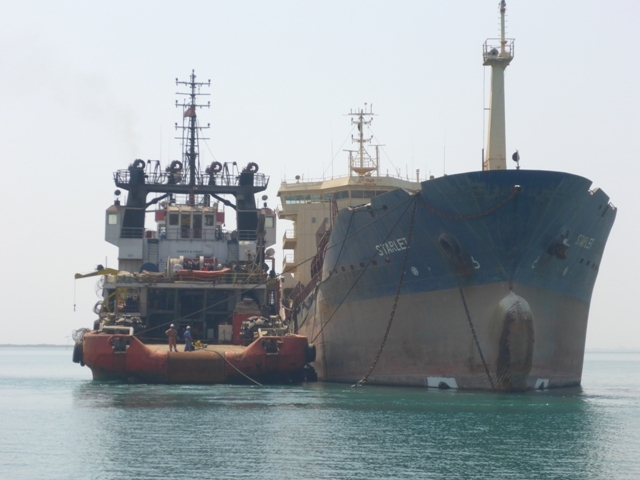 In the course of the following two months, the tug and salvage team successfully obtained permission to work onboard the casualty and prepare her for the onward towage out of Yemen. 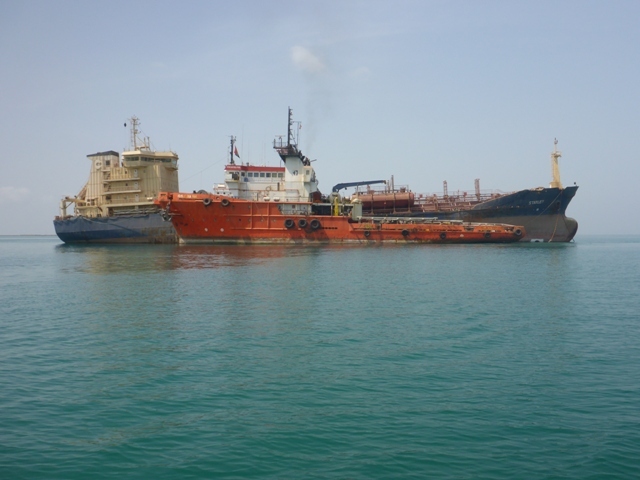 Due to the escalating war situation in Yemen, the tug and crew was forced to leave Yemeni territorial waters and the operation was suspended.